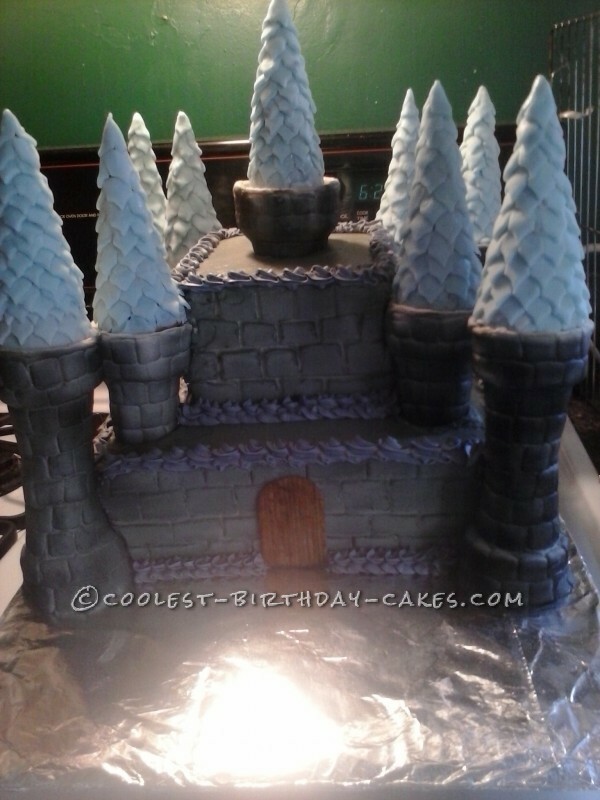 This is the castle birthday cake I made for my daughter, Maddison’s 5th birthday party. I baked three 10′ square french vanilla cakes and made two layers, the top layer being slightly smaller. I used butter cream icing from a bakery to ice the entire cake. I formed a rectangle out of an old icing tip I never used and make rectangular imprints on the entire cake to look like bricks. 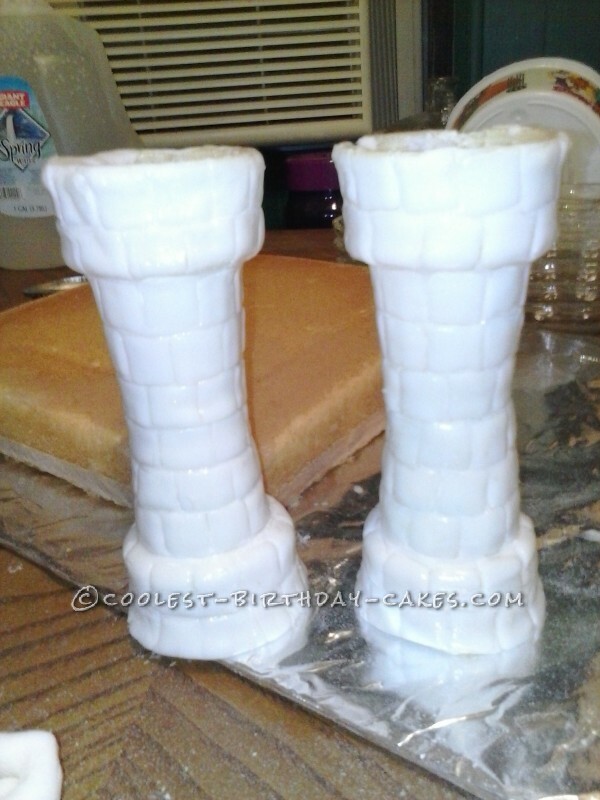 To make the towers, I took 2 regular ice cream cones and “glued” the bottom together with icing. Then I rolled out some pretty thin fondant and wrapped it around the cones. I trimmed off the excess and used some water to smooth it out. Then I used the same tip I turned into a rectangle to make bricks around the towers. 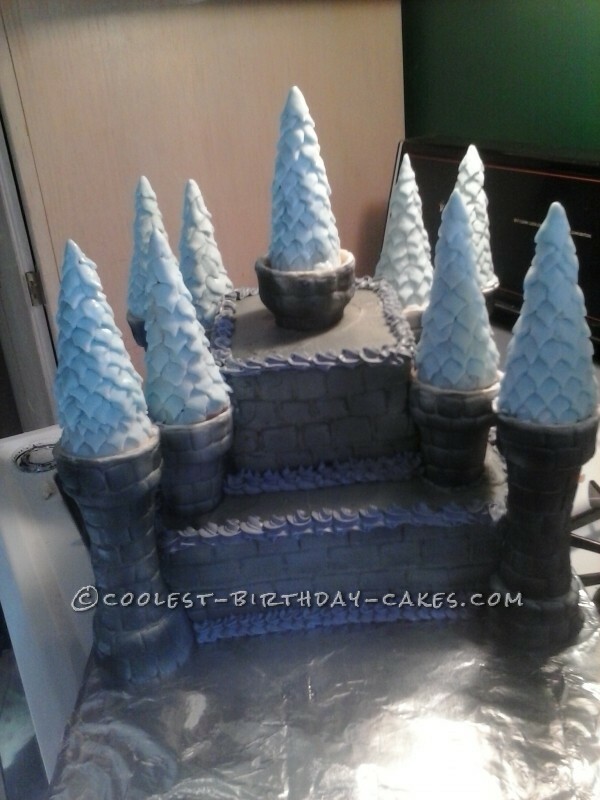 To make the pointed turrets, I took a sugar cone and individually cut out shingles from blue fondant. 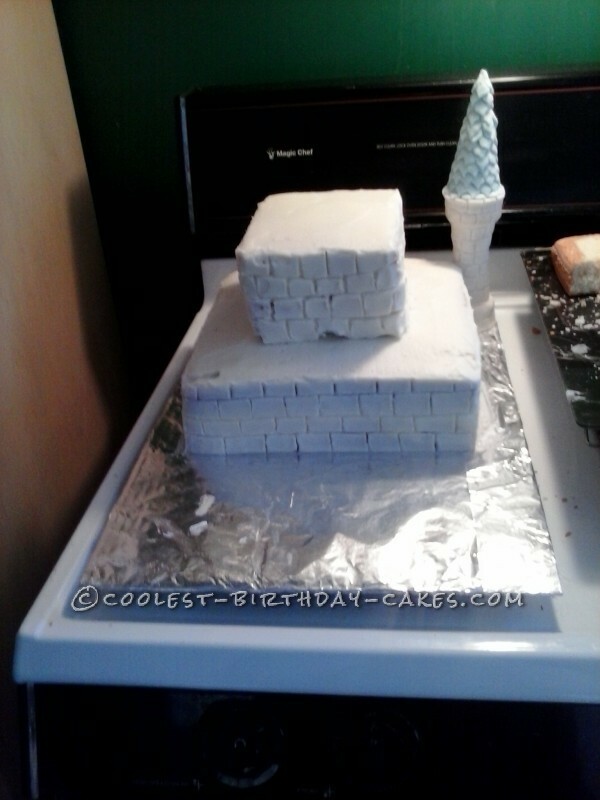 Before assembling everything together, the cake was airbrushed to give the bricks a stone look. 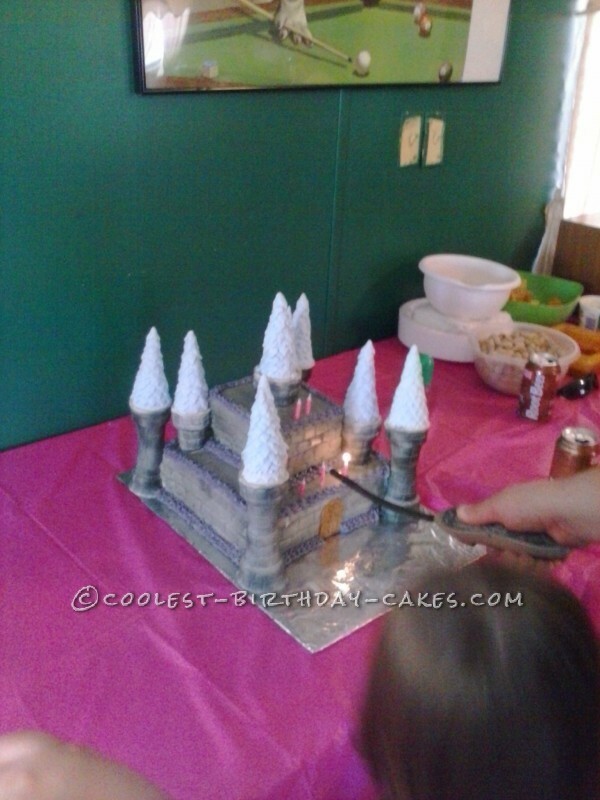 Then all the towers were placed on the cake and a “wooden” door was made out of fondant. This was the most time consuming cake I’ve ever done, as I stayed up for 36 hours straight in order to complete all of the details on the towers. It was all worth it though to give my oldest daughter such a special cake on her big day. It was a big hit at her party! Birthday cake idea Posted by Terry S.